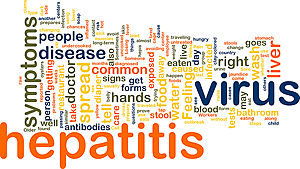 The Florida Department of Health in Hillsborough County (DOH-Hillsborough) has identified a positive case of hepatitis A in a food service worker at Sandpiper Grille in Sun City Center. Hepatitis A vaccination is recommended for anyone who ate or drank between March 20 – 24 at the restaurant, which is located at 1702 S Pebble Beach Blvd., as they may have been exposed to hepatitis A. Those who have previously received the hepatitis A vaccine do not need to take additional action. DOH-Hillsborough is offering the vaccine weekdays from 7:30 a.m. to 3:30 p.m. at the Sulphur Springs Health Complex, located at 8605 Mitchell Ave, Tampa, FL 33604, for free to those who may have been exposed. On Saturday, a special vaccination clinic will also be set up at the Joyce Ely Health Center (WIC Location), 205 14th Avenue, S.E., Ruskin, FL 33570, between 9 a.m. and 1 p.m.
On March 30, 2019, DOH-Hillsborough received lab confirmation that a person tested positive for hepatitis A and immediately began conducting an epidemiological investigation.